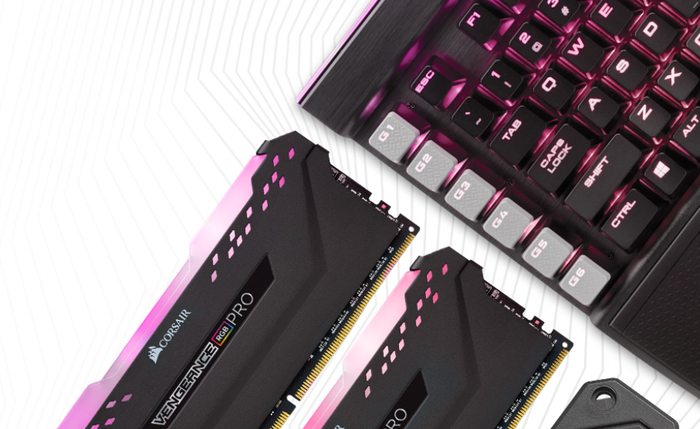 Back in the day, RGB lighting for your PC was very much a DIY affair.These days, for pretty every brand playing in the gaming peripheral space, there’s an easy-to-setup and easier-to-use RGB lighting software kit. The idea here is that you have more customizability and control over what your PC gaming experience looks like. However, how much that matters to you is ultimately going to come down to personal-preference more than anything else. Some PC gamers demand the extensive and advanced customizability on offer here. Others don’t care about RGB lighting at all. To newcomers, the number of competing illumination ecosystems can make things a little intimidating and overwhelming. To clear the air, we thought we’d put together a round-up of what each RGB ecosystem offers. What is Razer’s RGB software called? Razer Chroma is available on Razer mice, keyboards, headphones, laptops, mousepads, microphones, speakers and external GPU enclosures. It’ll also come to select non-Razer peripherals from Q4 2018 onwards. How many colors does Razer Chroma offer? Razer Chroma supports a spectrum of up to 16.8 million colors. Does Razer Chroma support per-game profiles? The Razer Chroma ecosystem supports the ability for your to configure and share your own custom per-game RGB lighting profiles. It also supports developer-led Chroma lighting integration through the “Works with Razer Chroma” program. 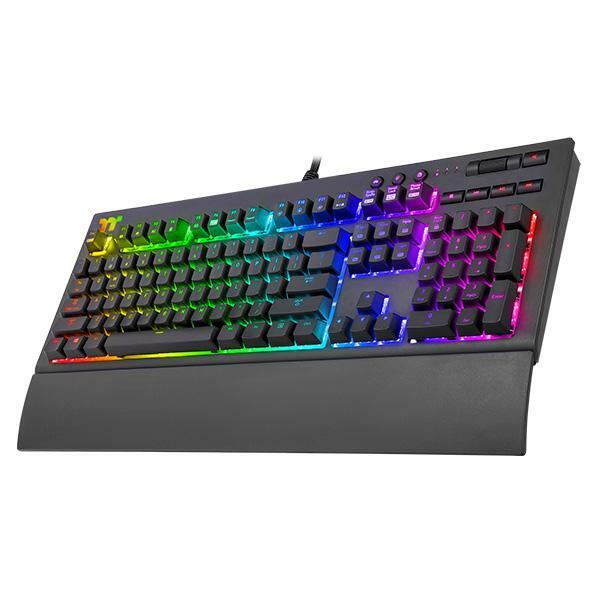 Does Razer Chroma support macros? Razer Chroma supports macros via Razer Synapse. Does Razer Chroma support per-key customization? Yes. Razer Chroma supports per-key customization via Razer Synapse. Does Razer Chroma support saving and sharing your own presets? Yes. Razer Chroma supports saving and sharing custom presets via Razer Synapse. What is HyperX’s RGB software called? HyperX’s RGB lighting system is called NGeunity. What products does the HyperX NGenuity lighting system support? HyperX’s NGenuity RGB lighting is available on HyperX mice, keyboards, headphones and memory modules. How many colors does the HyperX NGenuity lighting system offer? The HyperX NGenuity lighting system supports a spectrum of up to 16.8 million colors. Does the HyperX NGenuity lighting system support per-game profiles? Yes. The HyperX NGenuity lighting system ecosystem supports the ability for your to configure and share your own custom per-game RGB lighting profiles. Does the HyperX NGenuity lighting system support macros? Yes. The HyperX lighting system supports macros via the Ngenuity software. Does the HyperX NGenuity lighting system support per-key customization? Yes. The HyperX lighting system supports per-key customization via Ngenuity. Does the HyperX NGenuity lighting system support sharing your lighting presets? Yes. The HyperX lighting system supports saving and sharing custom presets via Ngenuity. What is Logitech G’s RGB software called? Logitech G’s RGB lighting system is called Lightsync. What products does the Logitech G Lightsync lighting system support? Logitech G Lightsync is available on Logitech G mice, keyboards, headphones and speakers. How many colors does the Logitech G Lightsync lighting system offer? Logitech G Lightsync supports a spectrum of up to 16.8 million colors. Does the Logitech G Lightsync lighting system support per-game profiles? Yes. 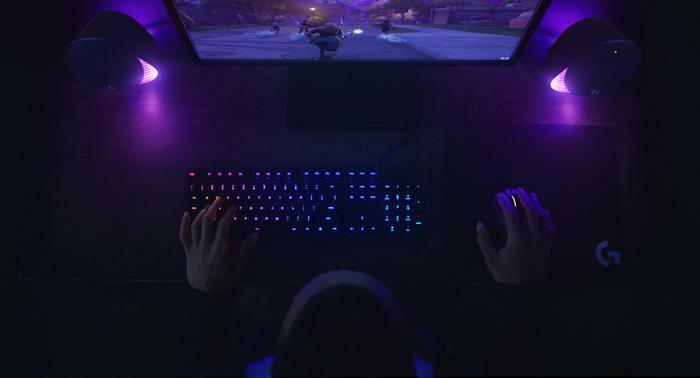 Logitech G Lightsync supports the ability for your to configure and share your own custom per-game RGB lighting profiles. Logitech say it boasts support for over 300 titles. Does the Logitech G Lightsync lighting system support macros? Yes. Logitech G Lightsync supports macros via the Lightsync software. Does the Logitech G Lightsync lighting system support per-key customization? Yes. The Logitech G Lightsync lighting system supports per-key customization via the Lightsync application. Does the Logitech Lightsync lighting system support sharing your own presets? Yes. The Logitech G Lightsync lighting system supports sharing custom presets saved within the Lightsync application. What is Republic of Gamers’ RGB software called? Republic of Gamers’ RGB lighting system is called Aurasync. What products does the Aurasync lighting system support? ROG Aurasync is available on ROG mice, keyboards, headphones and speakers. 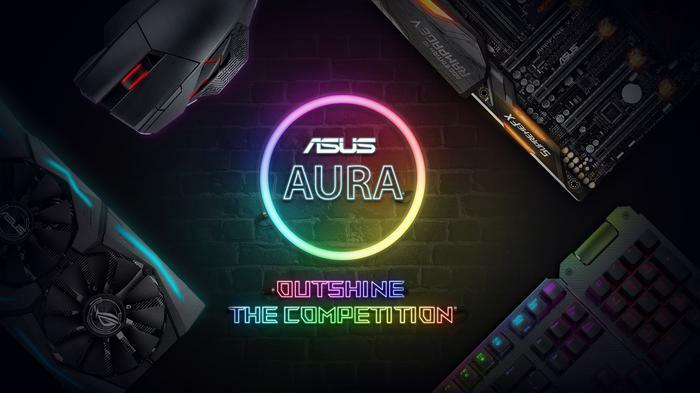 How many colors does the ROG Aurasync lighting system offer? ROG Aurasync supports a spectrum of up to 16.8 million colors. Does the ROG Aurasync lighting system support per-game profiles? No. ROG Aurasync does not support the ability for your to configure and share your own custom per-game RGB lighting profiles. Does the ROG Aurasync lighting system support macros? Yes. ROG Aurasync supports macros via the Lightsync software. Does the ROG Aurasync lighting system support per-key customization? Yes. The ROG Aurasync lighting system supports per-key customization via the Aurasync desktop application. Does the ROG Aurasync lighting system support sharing your own presets? No. The Aurasync lighting system does not support saving and sharing custom presets. 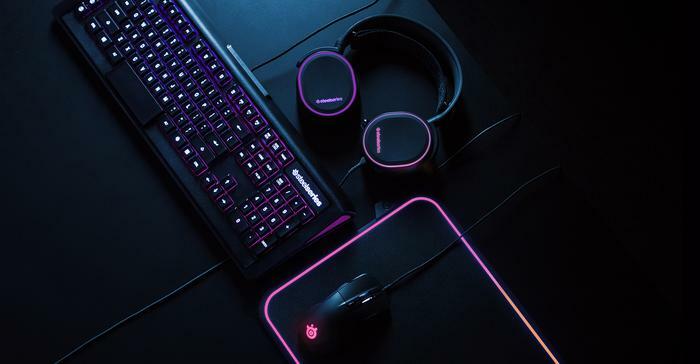 What is SteelSeries RGB software called? 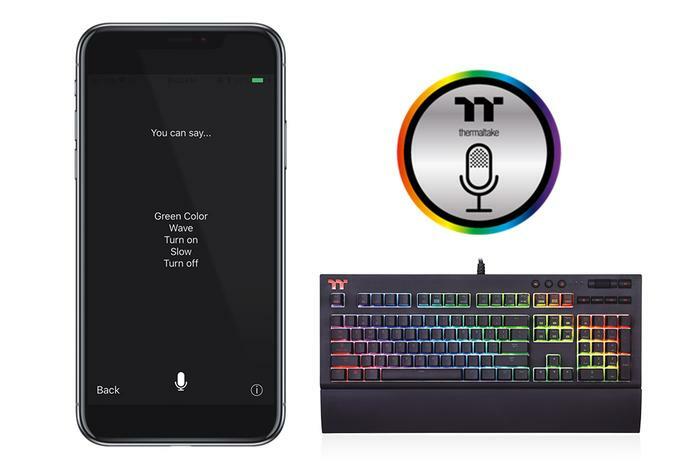 Steelseries’ RGB lighting system is called Prism Sync. What products does the Prism Sync lighting system support? Prism Sync is available on Steelseries mice, keyboards, headphones and speakers. It’s also available on select MSI monitors. How many colors does the Prism Sync lighting system offer? Prism Sync supports a spectrum of up to 16.8 million colors. Does the Prism Sync lighting system support per-game profiles? No. Prism Sync does not support the ability for your to configure and share your own custom per-game RGB lighting profiles. However, it does support some per-game RGB profiles via a set of purpose-built applications called Engine Apps. Does the Prism Sync lighting system support macros? Yes. Prism Sync supports macros. Does the Prism Sync lighting system support per-key customization? Yes. The Prism Sync lighting system supports per-key customization. Does the Prism Sync lighting system support sharing your own presets? No. The Prism Sync lighting system does not support sharing custom presets in a traditional sense. 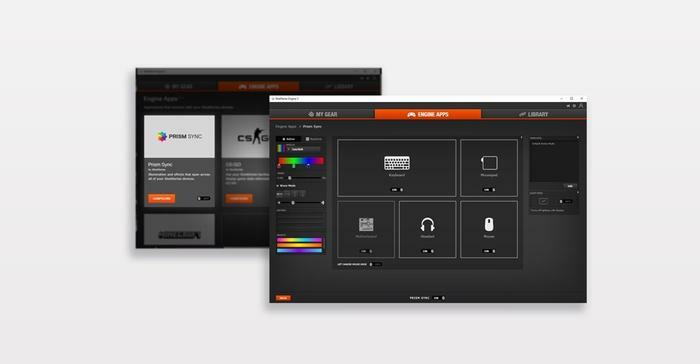 However, users are able to back up their RGB lighting settings via SteelSeries CloudSync. What is Roccat’s RGB software called? Roccat’s RGB lighting system is called AIMO. What products does the AIMO lighting system support? AIMO is available on Roccat’s latest mice, keyboards and headphones. How many colors does the AIMO lighting system offer? 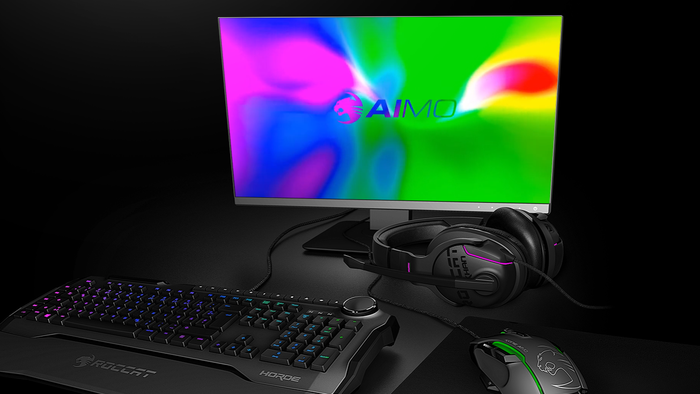 AIMO supports a spectrum of up to 16.8 million colors. Does the AIMO lighting system support per-game profiles? No. AIMO does not support per-game RGB lighting profiles. Does the AIMO lighting system support macros? Does the AIMO lighting system support per-key customization? Yes. The AIMO lighting system supports per-key customization. Does the AIMO lighting system support sharing your own presets? No. The AIMO lighting system does not support sharing custom presets in a traditional sense. What is Corsair’s RGB software called? Corsair’s RGB lighting system is called iCue. What products does the Corsair iCue lighting system support? iCue is available on Corsair headsets, mice, keyboards, cases, mousepads, fans, RAM, headset stands, CPU coolers and power supplies. How many colors does the Corsair iCue lighting system offer? Corsair iCue supports a spectrum of up to 16.8 million colors. Does the Corsair iCue lighting system support per-game profiles? Corsair iCue does support per-game RGB lighting profiles. It also boasts automatic in-game lighting effects for select titles, including Far Cry 5. Does the iCue lighting system support macros? Yes. Corsair iCue supports macros. Does the iCue lighting system support per-key customization? Yes. 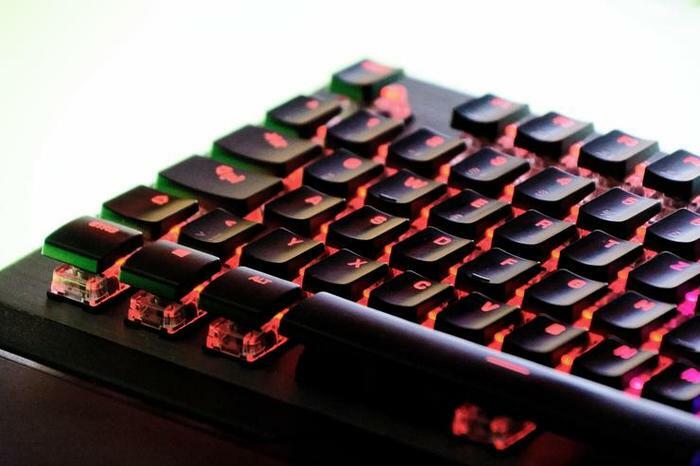 The Corsair iCue lighting system supports per-key customization. Does the iCue lighting system support sharing your own presets? Yes. 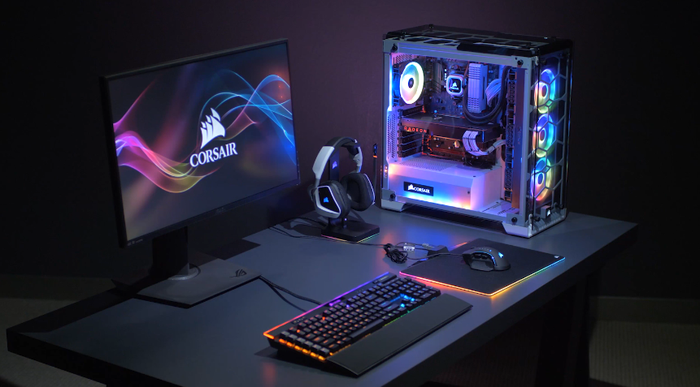 The Corsair iCue lighting system supports sharing custom presets. What is Alienware’s RGB software called? Alienware’s RGB lighting system is called AlienFX. What products does the Alienware AlienFX lighting system support? AlienFX is available on Alienware headsets, mice, keyboards, cases, monitors, desktops and laptops. 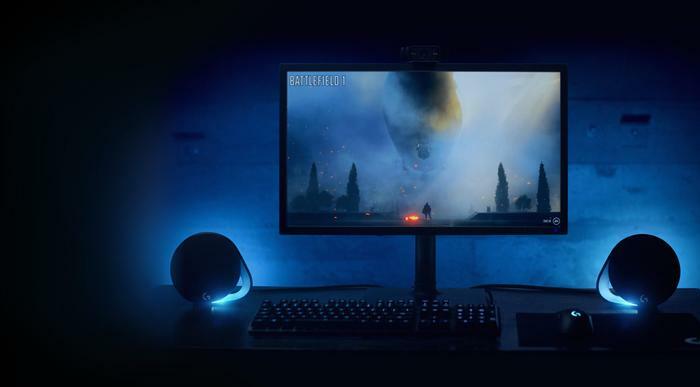 How many colors does the Alienware AlienFX lighting system offer? AlienFX supports a spectrum of up to 16.8 million colors. Does the AlienFX lighting system support per-game profiles? Yes. AlienFX does supports per-game RGB lighting profiles. Does the AlienFX lighting system support macros? No. AlienFX does not supports macros. Does the AlienFX lighting system support per-key customization? No. The Alienware AlienFX lighting system does not supports per-key customization as it splits lighting into ‘zones’. Does the AlienFX lighting system support sharing your own presets? Yes. The Alienware AlienFX lighting system supports sharing custom presets. What is ThermalTake’s RGB software called? ThermalTake’s RGB lighting system is called TT X1 RGB SYNC. What products does the TT X1 RGB SYNC lighting system support? TT X1 RGB SYNC is available on ThermalTake headsets, mice, keyboards, cases, fans,CPU coolers and power supplies. How many colors does the TT X1 RGB SYNC lighting system offer? TT X1 RGB SYNC supports a spectrum of up to 16.8 million colors. Does the TT X1 RGB SYNC lighting system support per-game profiles? Yes. 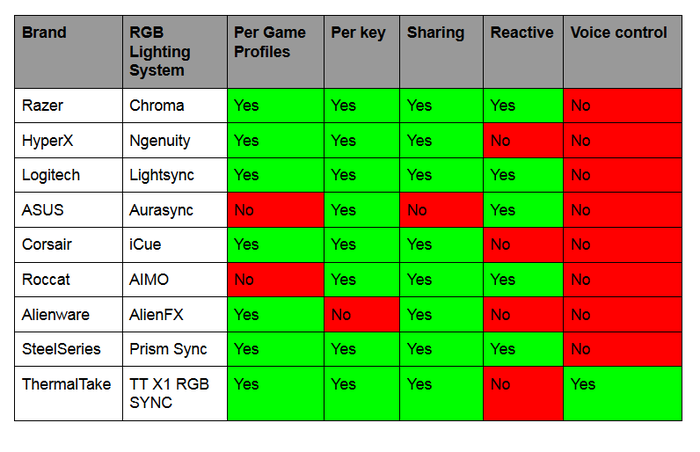 TT X1 RGB SYNC support per-game RGB lighting profiles. It also support voice control via a mobile app. Does the TT X1 RGB SYNC lighting system support macros? Yes. TT X1 RGB SYNC supports macros. Does the TT X1 RGB SYNC lighting system support per-key customization? Yes. 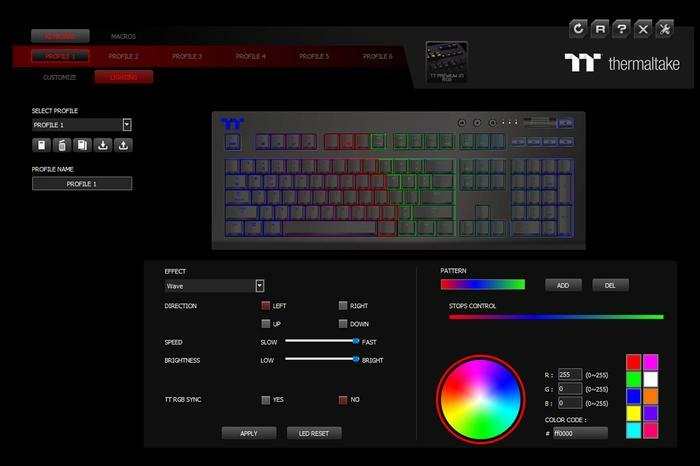 TheT X1 RGB SYNC lighting system supports per-key customization. Does the TT X1 RGB SYNC lighting system support sharing your own presets? Yes. The TT X1 RGB SYNC lighting system supports sharing custom presets. There isn't really a one-size-fits-all best RGB lighting system out there. Your individual mileage is ultimately going to be vary and be shaped by the features you do and don't care about. To make things easier, we've put together the chart below summarizing the important differences between each lighting ecosystem.